A simple and quick recipe to make a tasty meal with your leftover ‘roast potatoes’; and any other leftover vegetables you may have in your fridge. 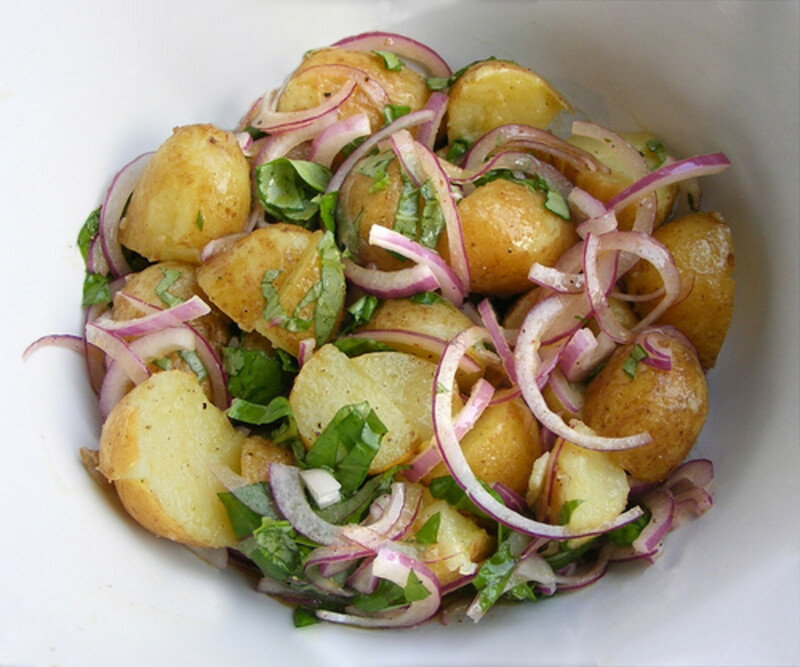 After your Sunday Lunch what do you do with your leftover roast potatoes? I know some people just through their leftovers away without consideration of the waste of good food. I'm one for 'waste not, want not'; not only don't I like seeing good food going to waste but rehashing it in new and tasty recipes also saves the pennies (money). If you have potatoes leftover after a meal and you have plenty of other vegetable scraps then why not make a tasty scrap potato pie; one of my favourite dishes as it can be packed full of flavour and texture. 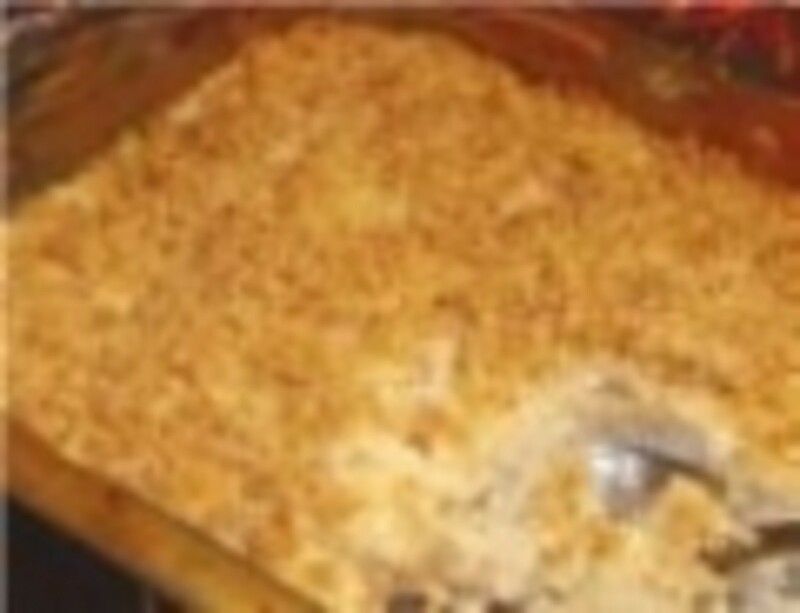 Various ways of making potato scrap pie includes mixing all the potatoes and vegetables together in your food mixer or just chopping them up and layering them in a casserole dish; optionally adding tinned tomatoes, topping with grated cheese and baking in the oven until fully cooked; usually for about 45 minutes on 200C (gas mark 6). 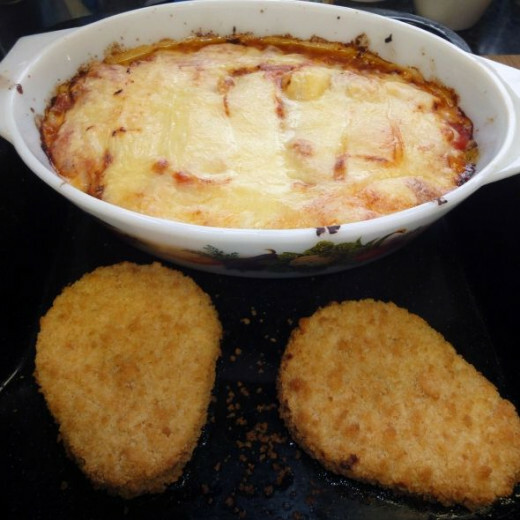 And if the leftover potatoes are mainly roast potatoes then why not make a tasty 'Roast Potato Cheese Bake pie'; roast potatoes in a casserole dish topped with cheese as described below. Cut the roast potatoes into quarters, or thick slices and layer them into the bottom of a casserole dish. 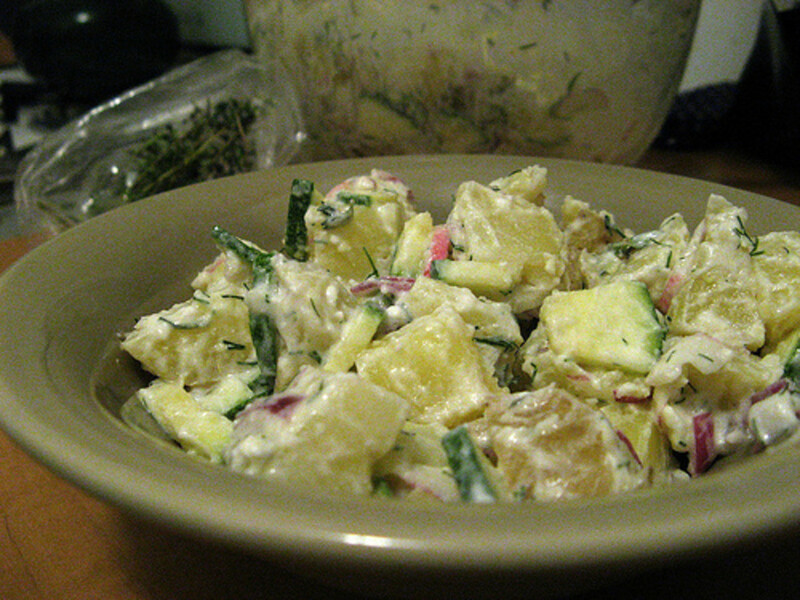 Optionally, add other cooked vegetable scraps from your fridge or a tin of mushy peas after draining the excess liquid. Layer the tinned tomatoes on top and spread evenly with the back of a fork, applying some pressure to break up the tomato a little and allow some of the tomato juice to seep onto the roast potatoes below. Cover the tomatoes with a layer of grated cheese e.g. cheddar cheese and finish with a sprinkle of Parmesan on top. Place the Roast Potato cheese bake pie into the oven and bake on 200C (gas mark 6) for about 40 minutes or until the potato pie is fully cooked and the cheese is a golden brown. When cooked, remove from oven and serve immediately either on its own as a tasty bite or with your favourites for accompanying potato pies e.g. baked beans and fried egg to make a complete meal. A very popular large capacity 5 quart cast iron Double Dutch Oven and Casserole dish with skillet cover. The 1.5 inch deep lid very cleverly doubles up as a skillet and would be ideal for making dishes like the roast potato cheese bake recipe. This handy and versatile oven to tableware measures 10.25 inches by 13 inches and 5.5 inches high. Comprehensive 15 piece non-stick cookware set available in a choice of black or blue. The saucepans, highly heat conductive aluminium coated with non-stick, includes the popular and contemporary tempered glass lids with practical and comfortable handles. A complete cookware set idea for making recipes like the one featured in this article. Quarter the roast potatoes e.g. cut them in half and then each half in half again. Layer them in the bottom of a casserole dish. Add any other cooked vegetables you have to hand on top, in this case a few mushy peas. Add tinned tomatoes as the next layer, and spread them evenly across the top. Grate some hard cheese e.g. cheddar and at this as the top layer to the pie; spreading it out evenly. Then sprinkle a little Parmesan cheese evenly over the grated cheese. Place the Roast Potato cheese bake in the oven on 200C (gas mark 6) for about 45 minutes or until the pie is fully cooked and the cheese is a golden brown. While the ‘Roast Potato cheese bake’ is cooking decide what you intend serving with it e.g. fried or poached egg with baked beans, tinned tomatoes or peas etc. Or alternatively, if it’s a big dish it can be quite filling and it’s rather tasty on its own. In the photo above the pie was served with baked beans and ‘cauliflower and cheese bake’; I could just as easily have served the pie and ‘cauliflower and cheese bake’ with mushy peas or tinned tomatoes knowing that the meal would have been just as tasty. Whatever you decide to have with your ‘Roast Potato and cheese bake’ remember to prepare it in time to serve for when the pie is done. When cooked, remove the ‘Roast Potato and cheese bake’ from oven and serve with anything else you’ve prepared e.g. 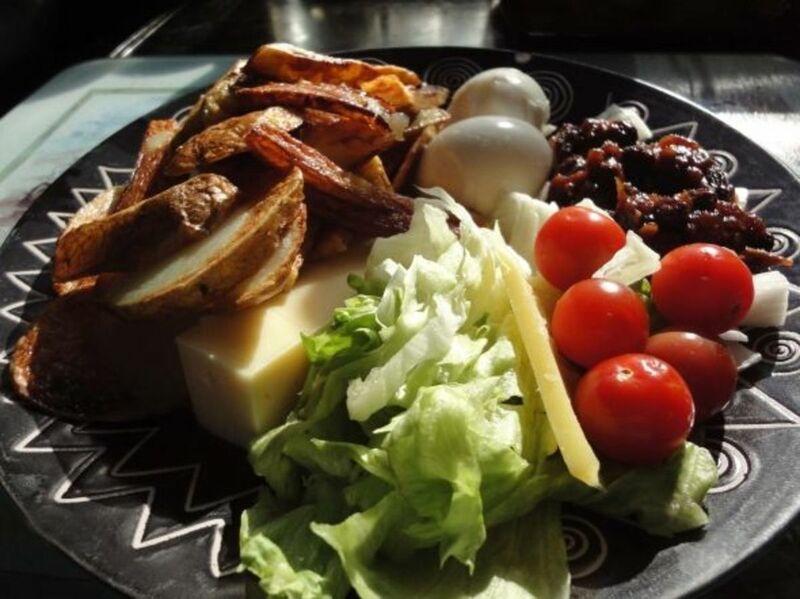 baked beans; optionally with salad including lettuce, tomato, hardboiled egg and onion etc. 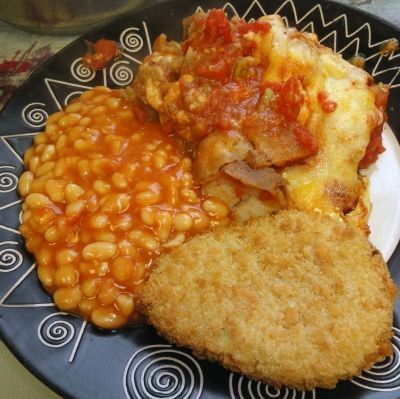 If you want a healthier meal, on a diet or don't fancy so much cheese you can cook the Potatoes topped with tinned tomato; but don't add too much tomato juice otherwise the pie will become too mushy. Without the cheese it still makes for a tasty pie, especially if served with baked beans and perhaps egg or salad on the side. If on the other hand you fancy topping the pie with cheese sauce, and prepared to make it, rather than just use grated cheese it will still make for a tasty meal. A little parmesan cheese sprinkled on the top of the grated cheese adds extra flavour; you could go one step further and top the pie with a blend of your favourite hard cheeses e.g. a little cheddar with some stilton and a sprinkle of parmesan. 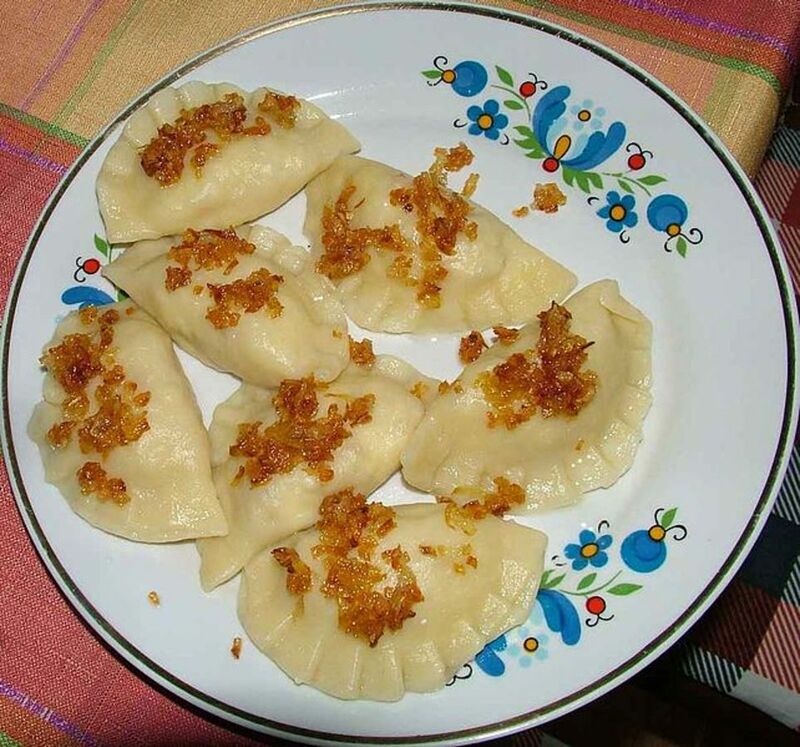 The great thing about dishes of this type is you can experiment with the ingredients and make the dish to your taste; and (although not impossible) it is difficult to go wrong. Far too many people these in this day and age in Britain, and no doubt America and other industrialised countries, throw away good food. Cook too much and then throw it away rather than put it in the fridge and reuse in another dish. The first issue is largely being that food is so cheap to buy relative to income and compared to how expensive it use to be pre 2nd world war. The ‘use by date’ in the UK is only a guide (with a generous margin); the best test for whether it’s actually gone-off is visual and the nose. With the exception of meats and rice, and some soft cheese; if it looks and smells ok then it’s safe to eat. Tinned food in particular has been known to keep perfectly fresh for decades; long after its sell by date. As regards cooking too much food; I’m as guilty as anyone for that. However, I do at least put the surplus in the fridge to use in other dishes later in the week e.g. a scrap potato pie. Accepting that meat products don’t keep well, surplus cooked potatoes and vegetables (provided they are kept cool in the fridge overnight) can make for some tasty recipes the following day. Do you throw away your surplus food? Thanks for all your feedback; yes Colin, I love 'Bubble and Squeak' another simple, yet very tasty and appetising meal. Mix them with cooked onion and cooked cabbage (or leeks) and fried as a fritter to make 'Bubble and Squeak'. Next time I roast potatoes, Ido some extra, this sounds delicious. A new twist on cheesy potatoes that it sure to satisfy....done with plenty of yum!